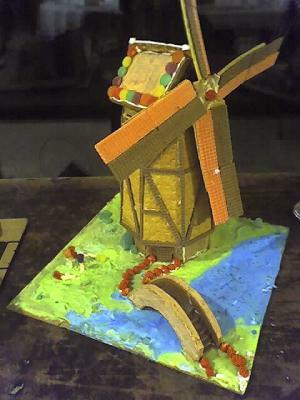 My brother won third place in our 2006 Annual Family Gingerbread House Competition with his dutch windmill. Yes, it could turn. Love it. Well done your brother. I am going to make one; not for a competition but decause you have inspired me. Thanks.